One worker died and his father was seriously injured in a confined space case in Texas. Now OSHA has fined a tank cleaning company almost a quarter of a million dollars. Freeflow Services LLC of Port Arthur, TX, faces $249,564 in fines for 30 violations. According to OSHA, on Nov. 4, 2016, an employee opened the hatch of a tanker to start cleaning it. The tanker contained residue from hazardous waste. A second employee heard a loud thump and knew the first worker had fallen into the tanker. The second employee then entered the tank. Despite wearing a full-face respirator, the second employee lost consciousness. A third co-worker ran to get help. Allan Ramirez, 34, was pronounced dead at a nearby hospital. His father, Wilfredo Ramirez, 58, had to be hospitalized. provide training about hazardous chemicals. 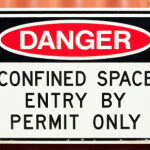 provide training about permit-required confined spaces to employees. One other-than-serious violation brought the total number of citations to 30. 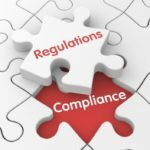 Companies facing OSHA fines can choose to pay them, enter into informal talks with OSHA or appeal them to the Occupational Safety and Health Review Commission. I’d Like to know which hazardous chemical was the culprit in this case. Thank you.